with this range of living products from ADA. 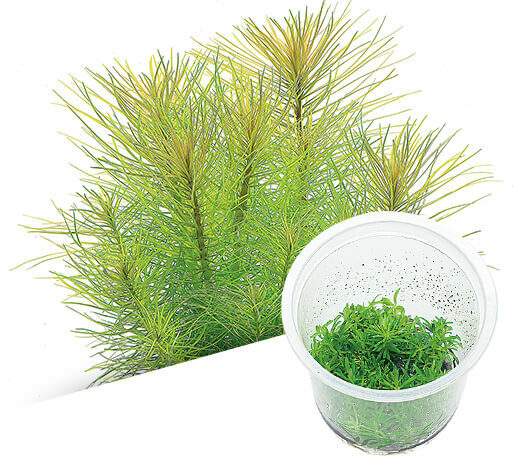 Underwater forest expands in high quality tissue culture plants. 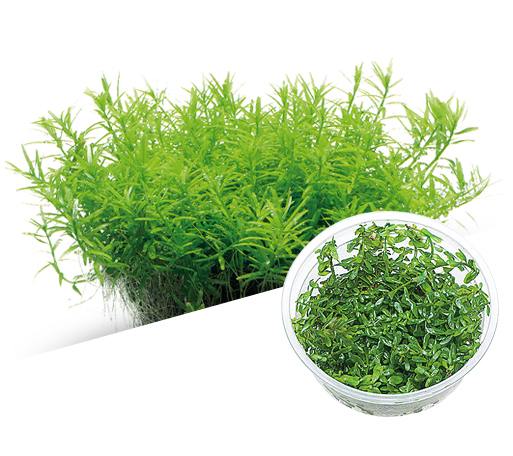 These aquatic plants are cultivated with a special nutrient medium. 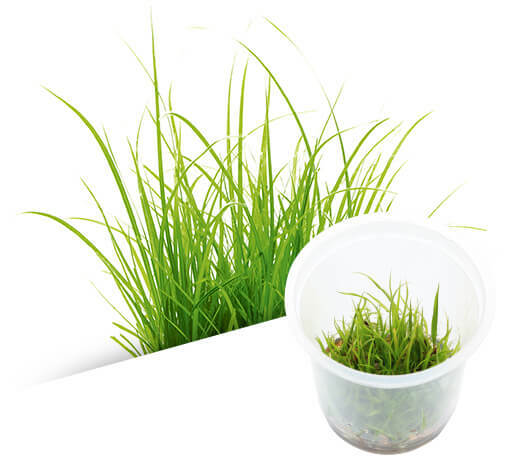 Quality is very high because of using a special cup that enables to maintain the condition from source to supply until it reaches the end customer. 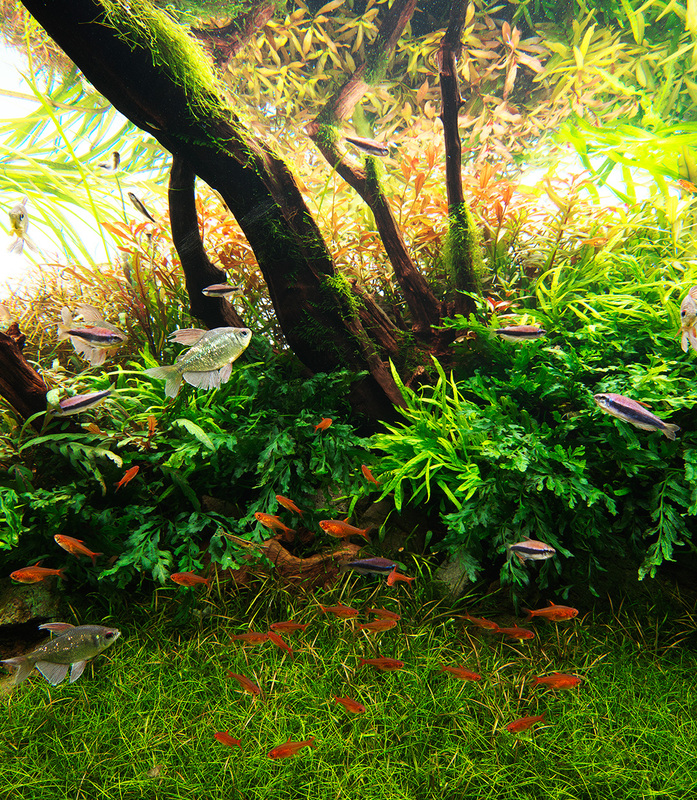 The vivid underwater forest spreads with easy process in every aquascape. Four major features of BIO Mizukusa no Mori. 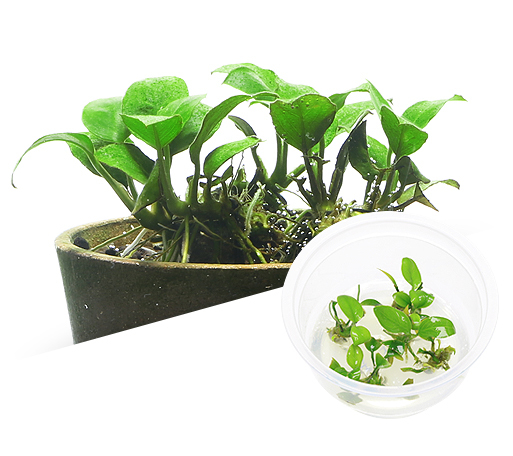 Aquatic plant grows without fail. Please try BIO Mizukusa no Mori that has various characteristics. Abundant product lineup from foreground plants to stem plants. 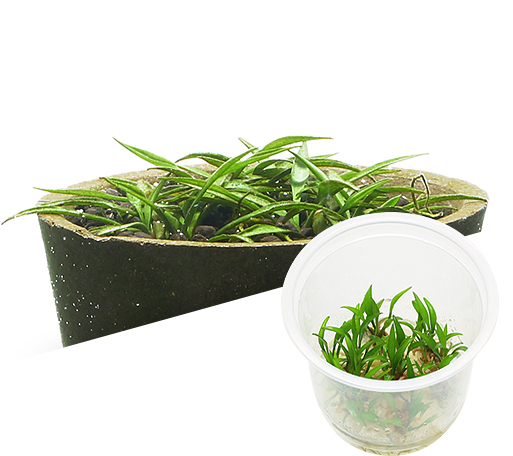 You can choose from standard aquatic plants to the latest aquatic plants based on personal preference. 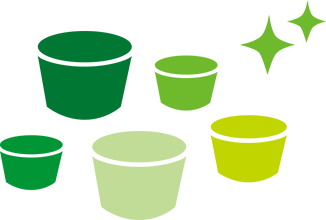 Planting is easier than potted aquatic plants. 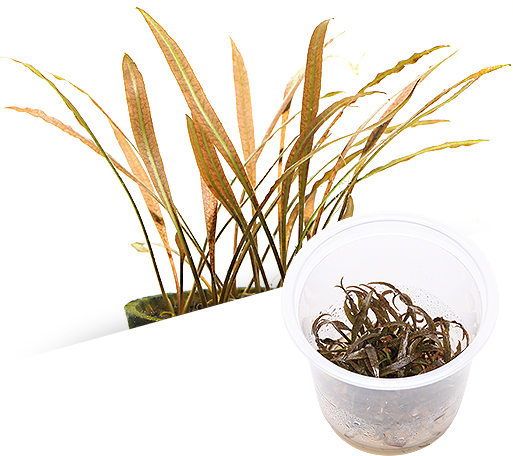 You can easily wash the media (gel) away and position the aquatic plant in the aquascape without damaging the roots of the plant. 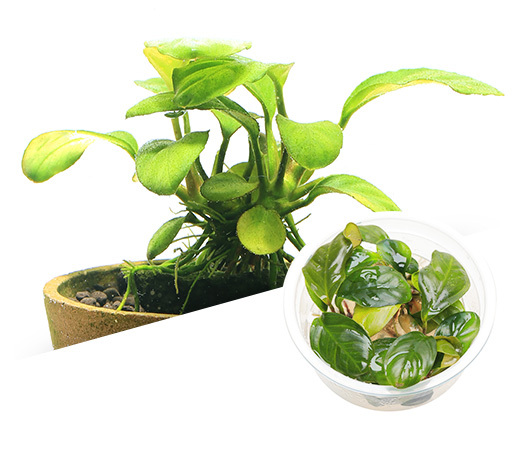 The leaves of the aquatic plant develop quick and evenly and the rooting is also excellent. 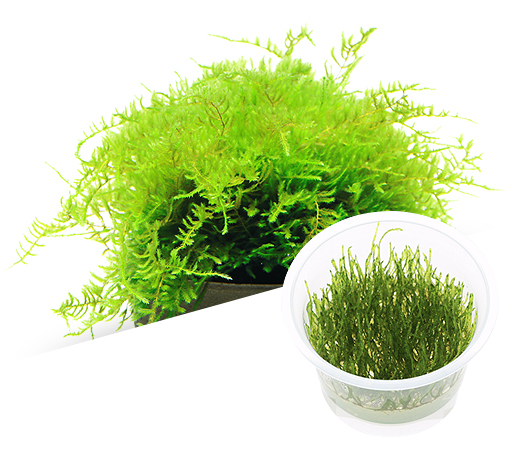 As the aquatic plant is provided in a special container where humidity is maintained and there is exchange of gases the aquatic plant adapts easily from a semi submerged condition to a totally submerged condition very quickly. 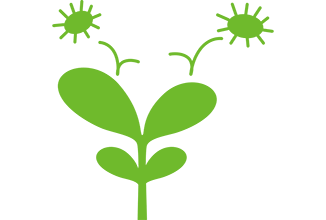 The root growth is also found to be excellent. 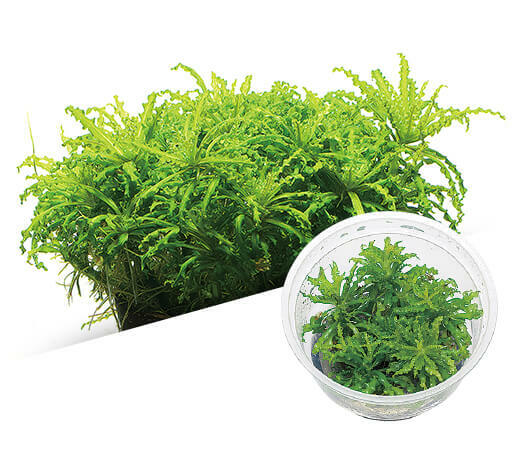 You do not have to worry about harmful insects, hazardous pesticides and algae since the aquatic plants are grown in a clean sterile environment. 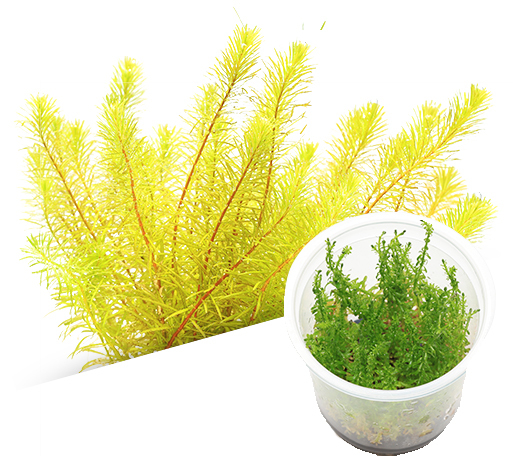 We advise you to wash away the media around the root zone of the aquatic plant with chlorine free water so as the prevent mildew and algae in the aquarium. Small leaves provide a delicate impression. 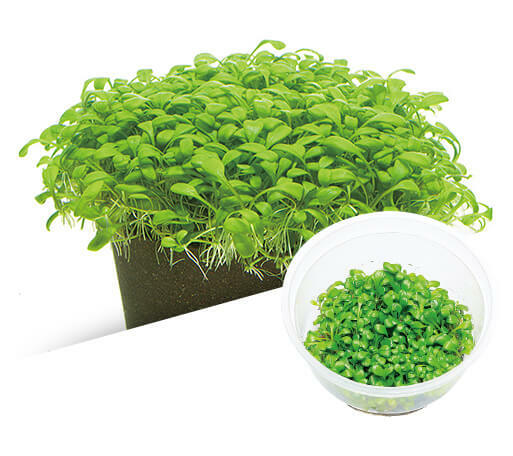 As the roots are short, it is suggested to be planted slightly deeper into the soil. 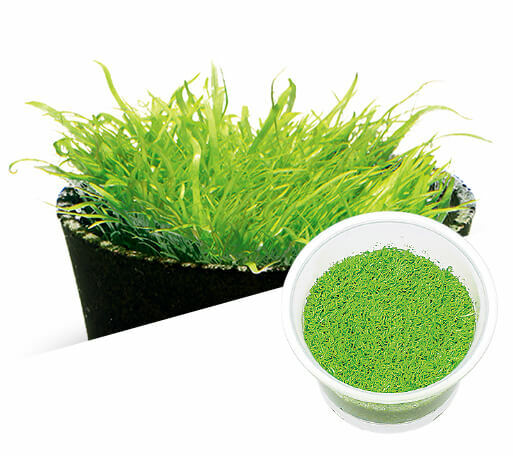 Low-growing and covers the substrate beautifully. 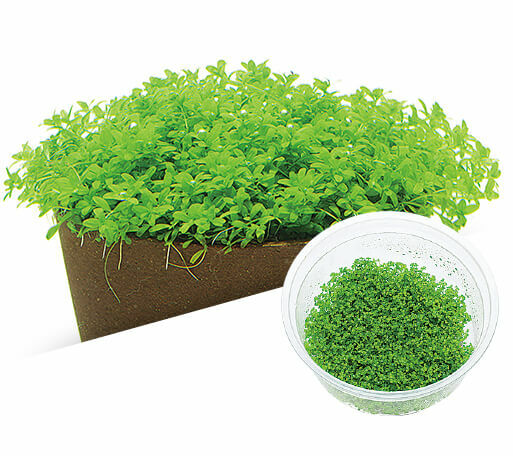 Easy to grow and strong for several trimmings. Gives an impression of unique leaf shape. Easy to combine with other foreground plants. 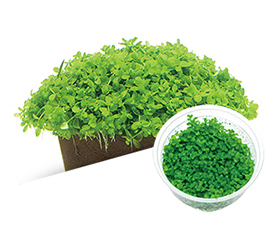 A high light-loving plant that disperses a lot of oxygen bubbles during photosynthesis. 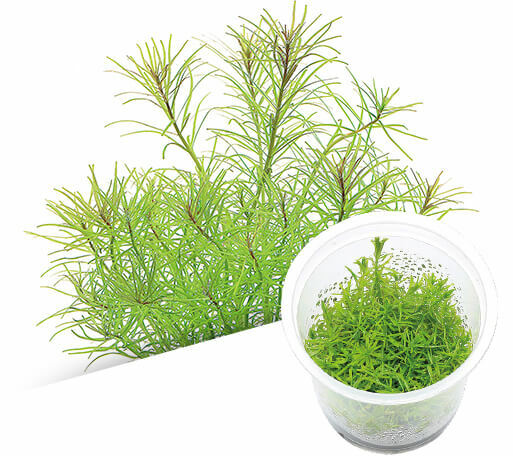 Foreground plant recommended for beginners because of its quick growth. Other name: Mini Glossostigma. 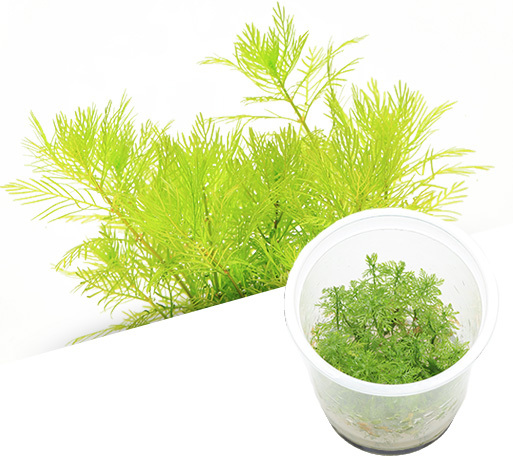 Slow growing plant, recommended for foreground in a small aquarium tank. 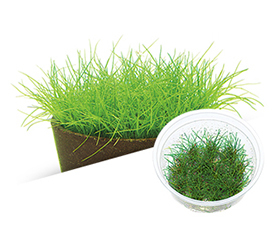 Allows one to create the scene of the wilderness from its dense growth. 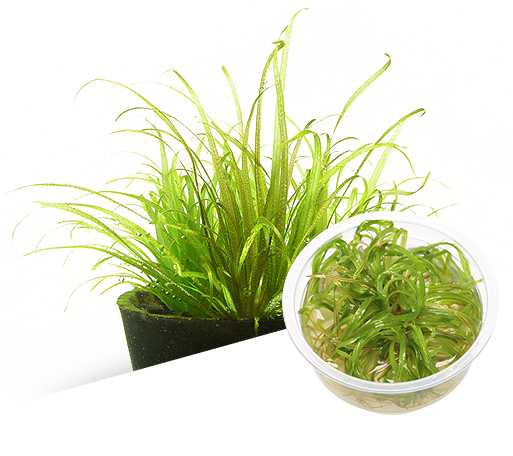 One of aquatic plants that is easy to use in Iwagumi layout. Echinodorus that develops beautiful red leaves. 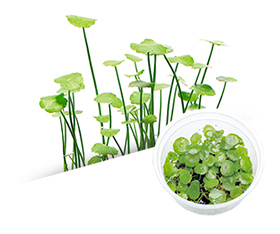 A variety of Hydrocotyle tripartita that has small lovely leaves. 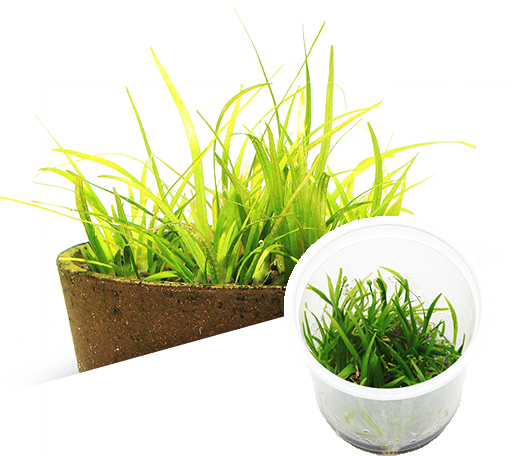 A variety of Hair Grass with short height and easy to use in small aquarium tank. 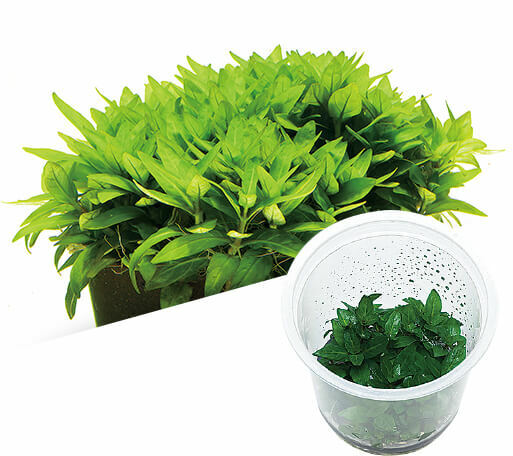 The leaves grow thick with high density, making it suitable for foreground plant in layout. 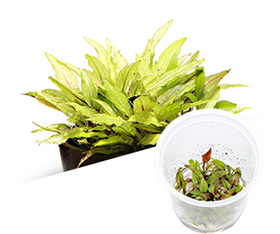 One of the Smallest Cryptocoryne. It can be also used as foreground. 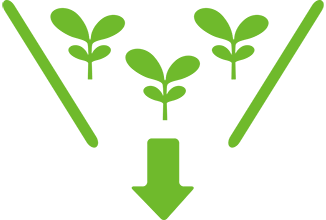 However, since the growth is slow, it is important to plant a generous amount of it. 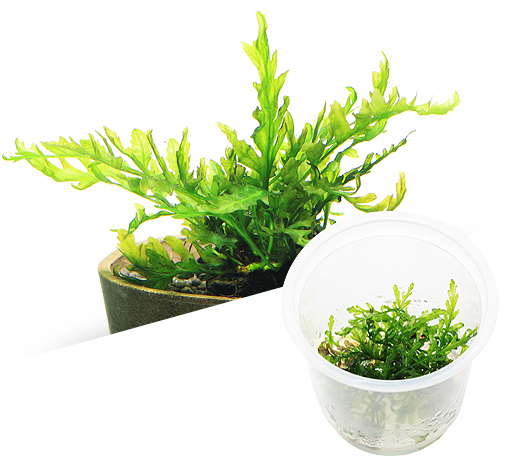 Aquatic plant in the shape of rosette with characteristic of thick leaves. 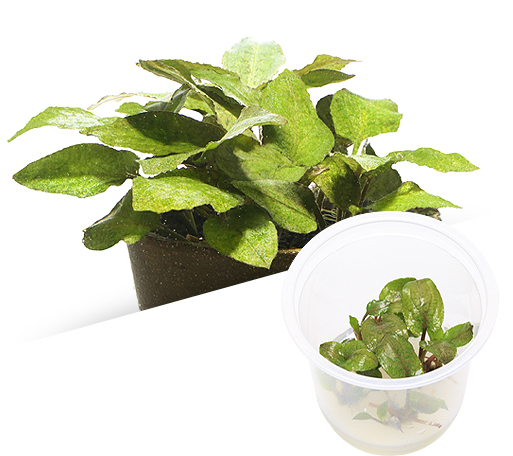 A variety of Hygrophila that has distinctive shape of leaves. A stem plant that can anchor its roots to a rock. 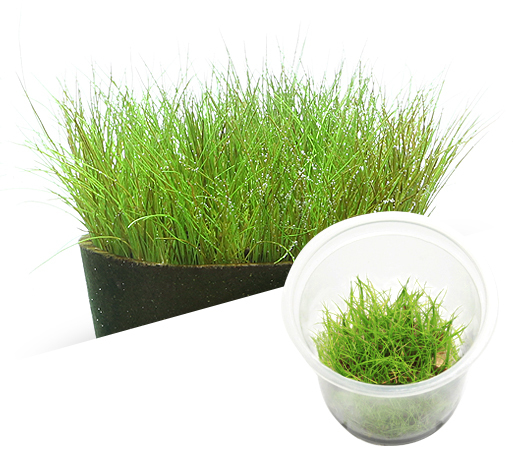 Suitable for planting in middle ground together with aquatic plant that grows short. 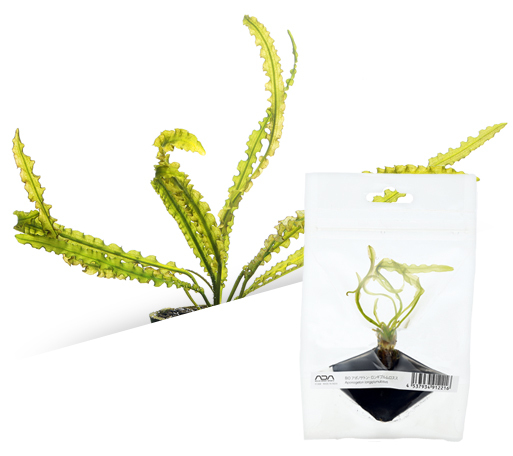 Cryptocoryne that has a quiet impression, and gives a natural atmosphere when planted near driftwood. 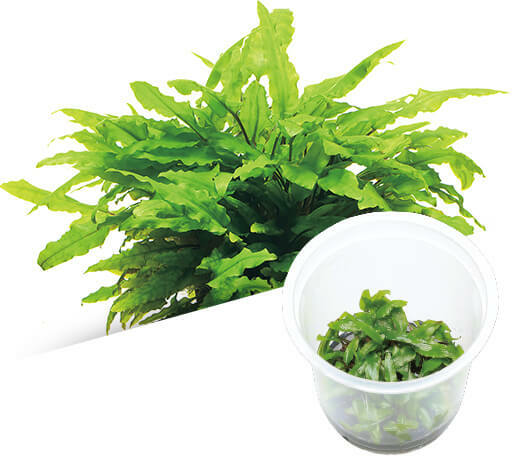 It has green leaves, making it one of the most popular types of Cryptocoryne. 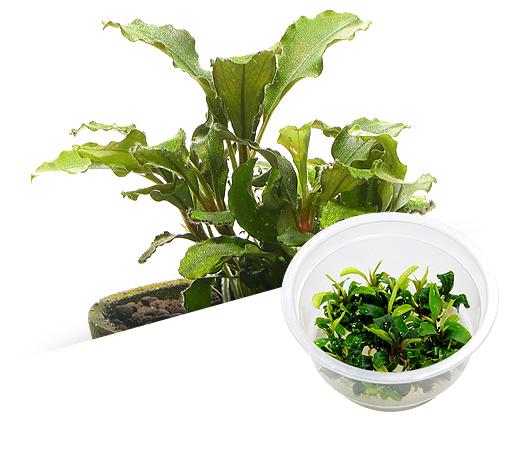 Cryptocoryne with distinctive light green leaves. The surface of leaves is in the shape of hammer-tone making it easy to distinguish from other types. It has a charm of expert taste preference. 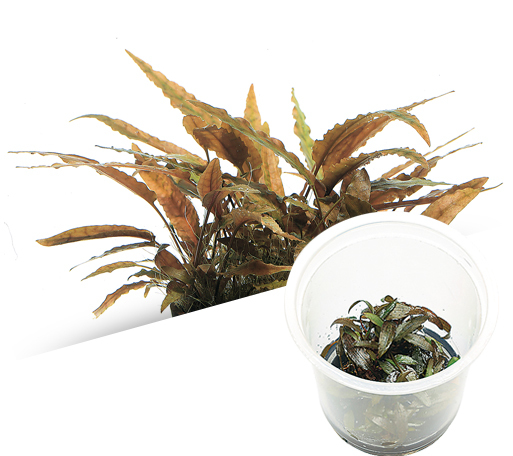 Cryptocoryne that is easy to set in a layout even in a small aquarium tank. It becomes a point in middle ground. 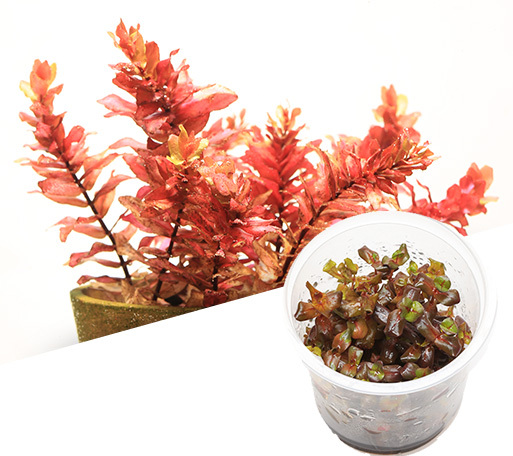 Its dark brown hue gives a calm impression to aquascape. Small stem plant that is easy to use in middle ground. Can be arranged as a bush by frequent trimming. 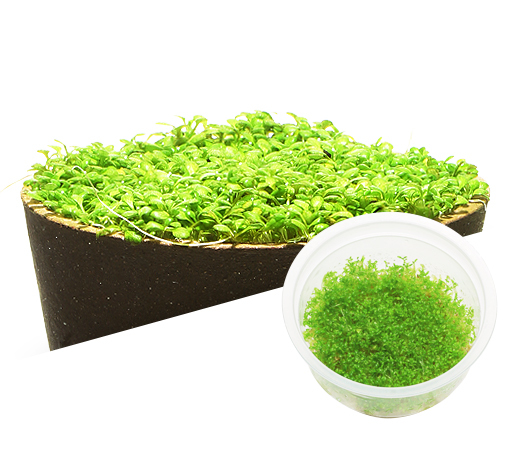 Grows relatively slow and it is hard to maintain at taller heights, making it suitable for Iwagumi layout. 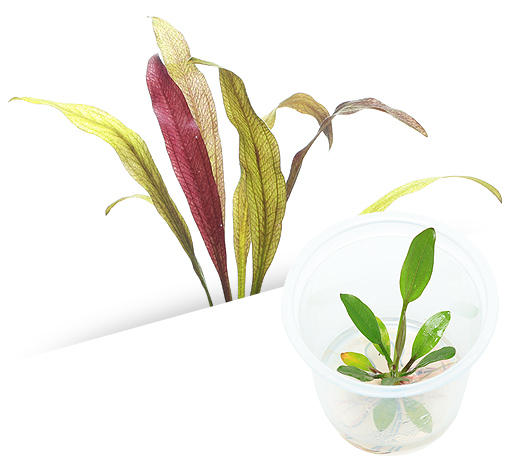 Stem plant with striking reddish-purple and stiff leaves. 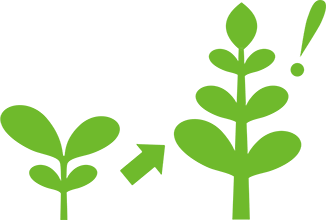 Plant in middle ground by considering it creeping growth pattern. 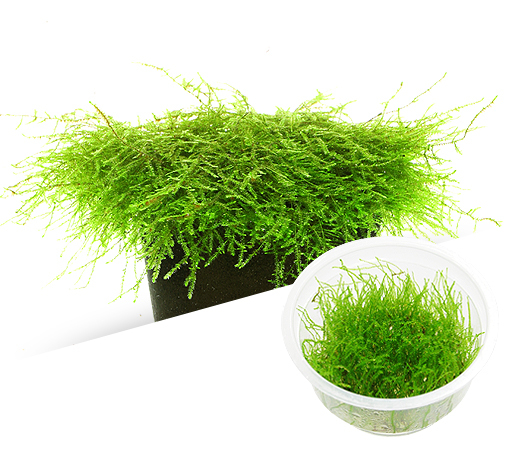 It has charming wavy leaves and looks attractive when planted collectively. 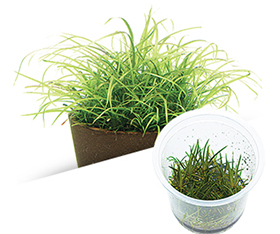 Low-growing stem plant that does not grow tall, making it suitable For mid-ground. 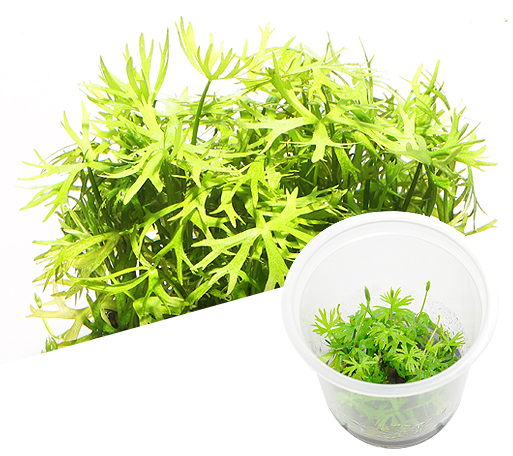 Aquatic plant with a distinctive cut on the leaves. Recommended to be used in middle ground. Highlights a layout by tying it down on driftwood and rocks. Grows collectively and clustered. It can also be used in just one point. 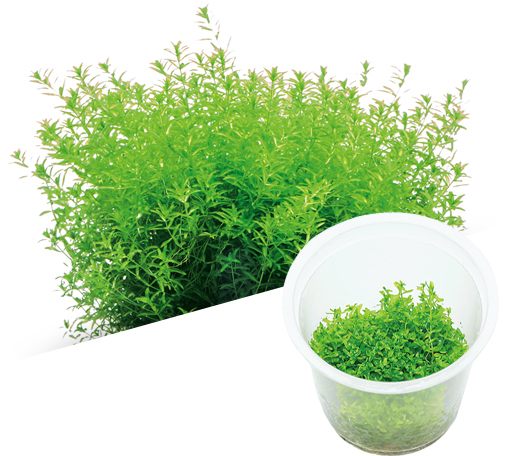 Aquatic plant that has good compatibility with Iwagumi and is easy to use. 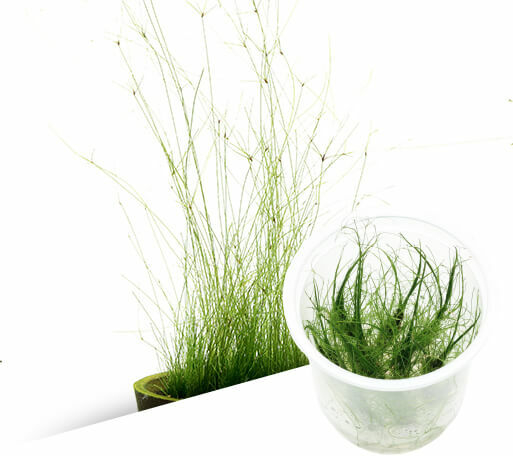 It is taller than dwarf hair grass. 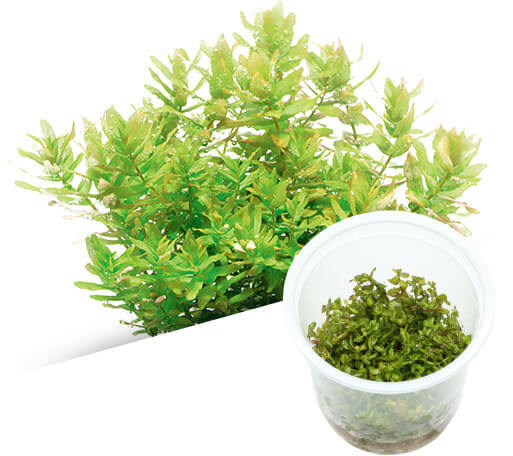 Lagenandra with round leaves is recommended For mid-ground. Can be used together with driftwood by making use of its subtle color. It has impressive leaves that grow large. 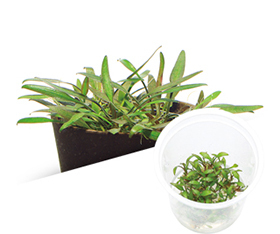 Pogostemon with slender leaves. Its delicate and pale impression expresses the beauty of a stem plant. 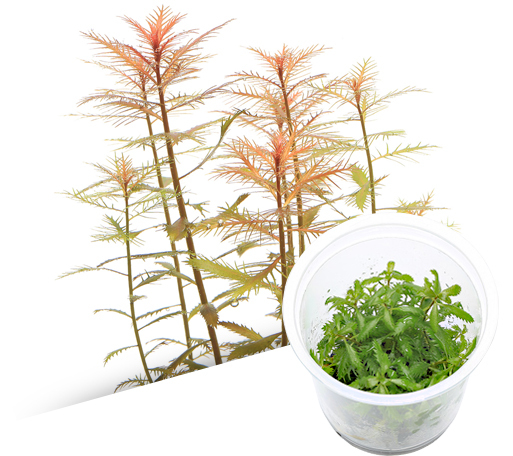 Unlike Rotala macrandra where the whole leaves turn red, this ‘Green’ type has a reddish leaf margin. 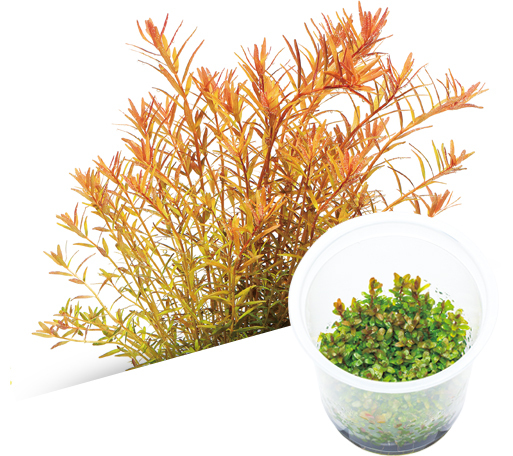 One of the tricks to create a beautiful bush is by enhancing the dense feel by trimming it. 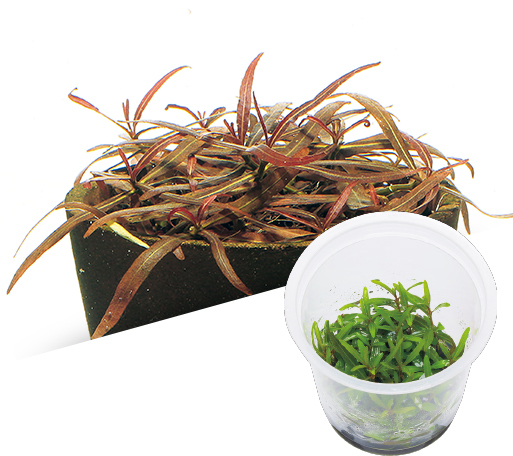 Reddish Rotala. Its beauty stands out when combined with green stem plants. 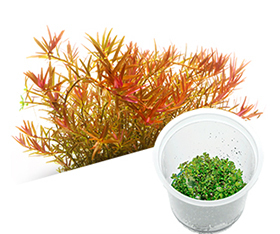 A variety of Rotala that gives an impression of slender and sensitive leaves. Its pale red hue is very charming. 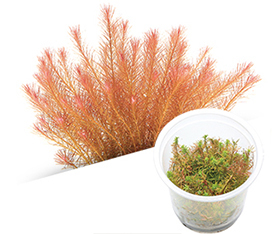 It has a colorful impact among Rotala species due to its vivid red hue. 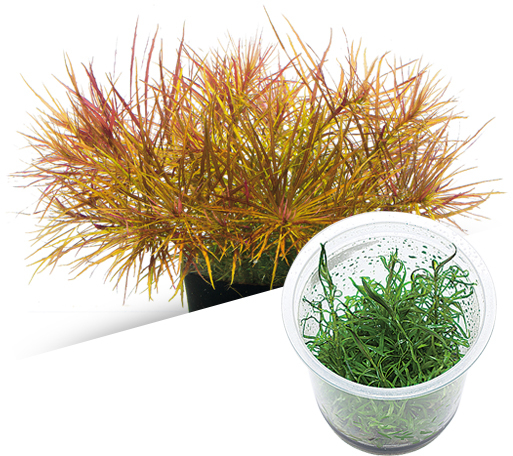 Rotala with slender leaves and orange terminal buds. 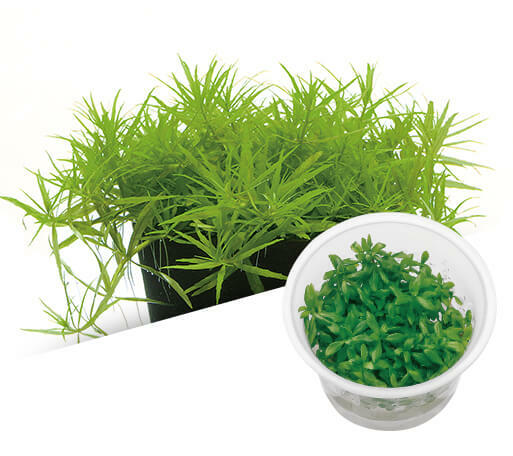 It is a strong stem plant and easy to maintain for a long period. Red stem plant with signature slender leaves. It adds a touch of color to the background in a layout. Its underwater leaves are colored a vivid crimson. This species with red leaves is basically planted in the center of layout to emphasize a focal point. 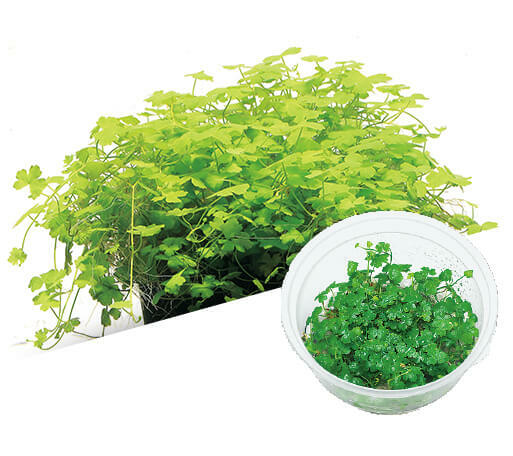 Small type of Myrophyllium. 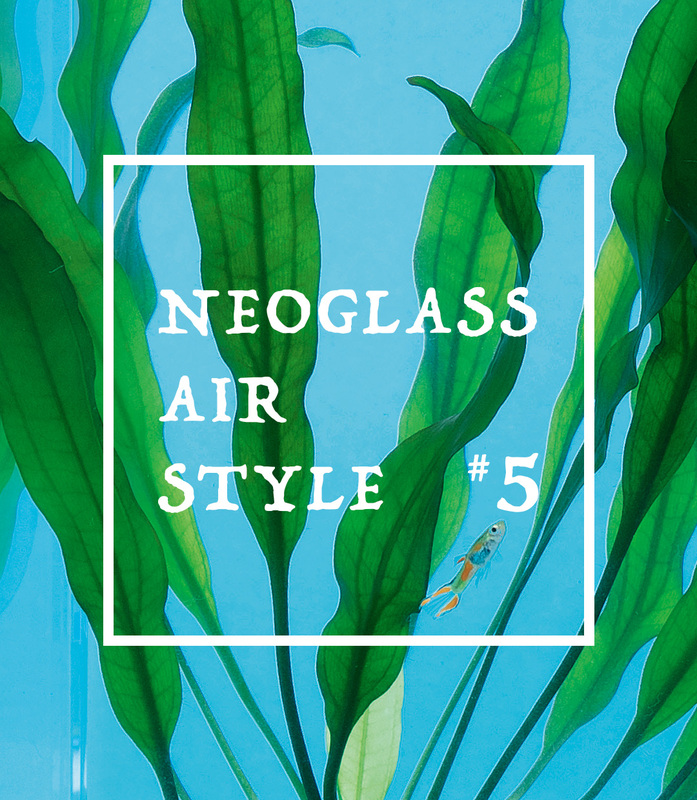 The beauty of its sensitive leaves is appears in a layout. 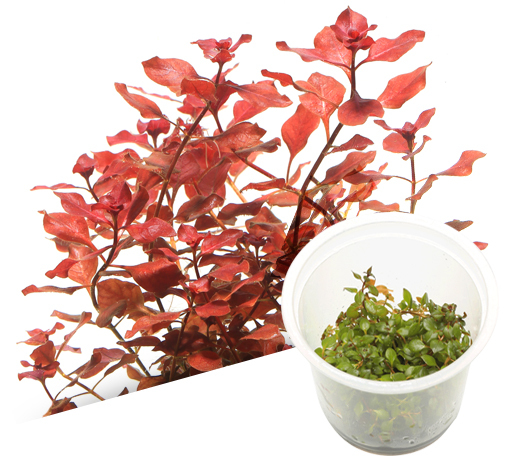 Distinctive aquatic plant with pinnate reddish leaves. 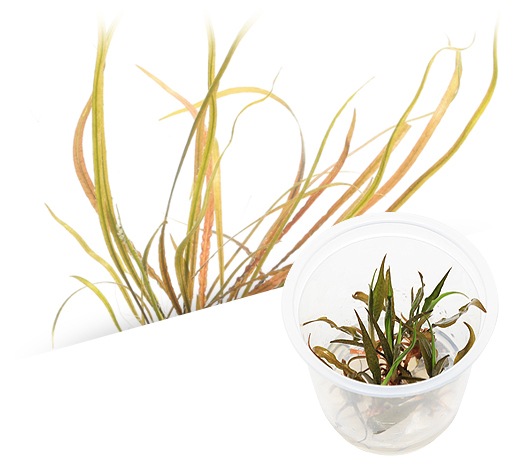 A companion of Eleocharis acicularis that has long leaves. It gives a natural feeling in background. 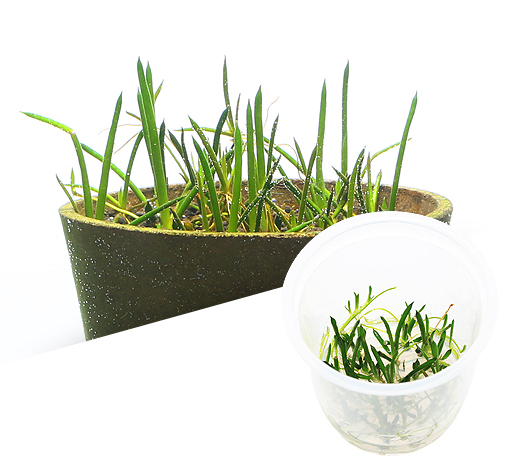 It has long, thin and tape shaped leaves that can render a natural feeling like a grassland. 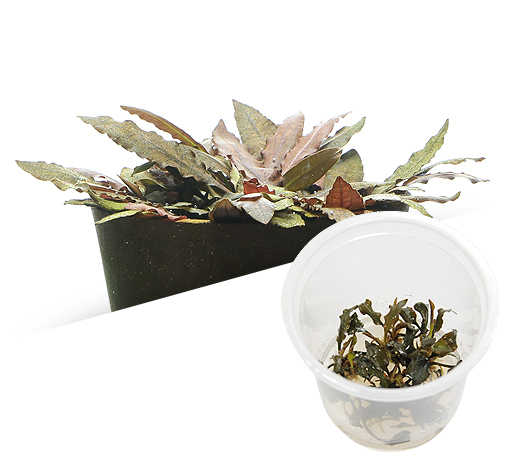 It has a very unique pattern on its slender reddish leaves. Since it grows long, it is suitable for background. 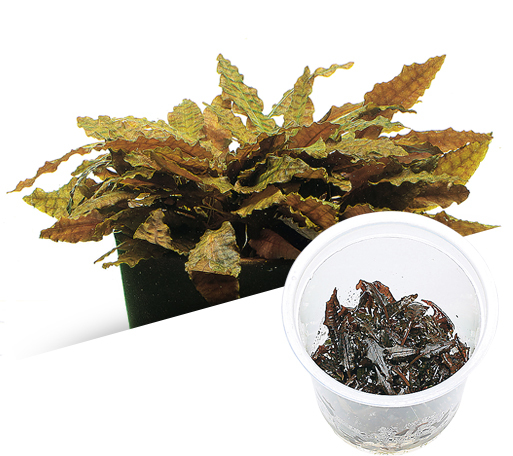 Cryptocoryne with slender dark brown leaves. 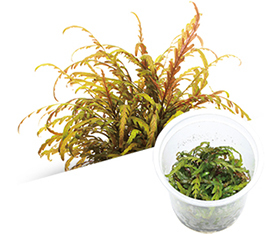 Epiphytic aquatic plant, use by attaching it to driftwood or wrapping with small stones. Fern with pinnate dark green leaves. Use by rooting it on the stone or driftwood. 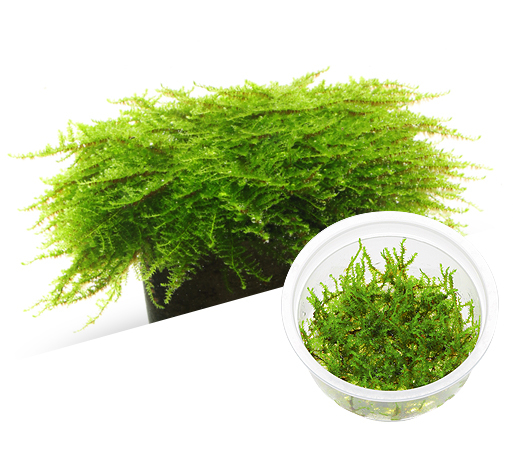 It grows by hanging down and projects an atmosphere like a dense forest. Moss with beautiful triangular leaves also known as Christmas moss. 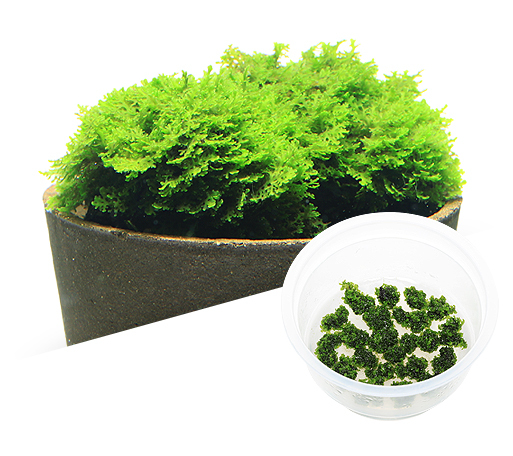 Standard moss for various type of layout. Moss with characteristic of slender leaves. It can be used either in the foreground or background by utilizing its characteristic of creeping flat on the ground. 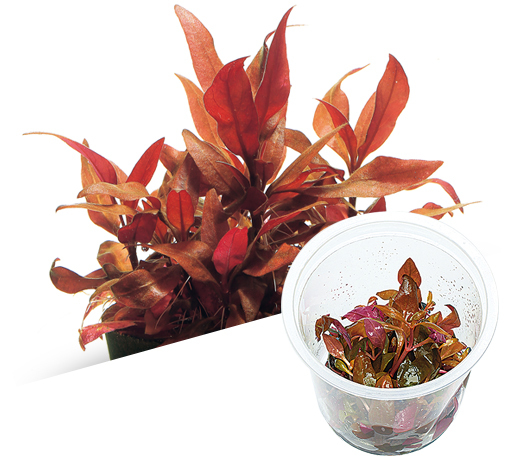 It has beautiful red leaves that can play a role as a layout flower. 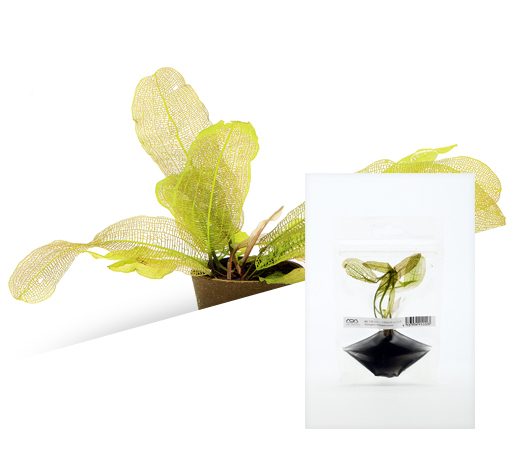 It has unique leaves with wave pattern resembling the coffee plant, provides a relaxing impression to the layout. 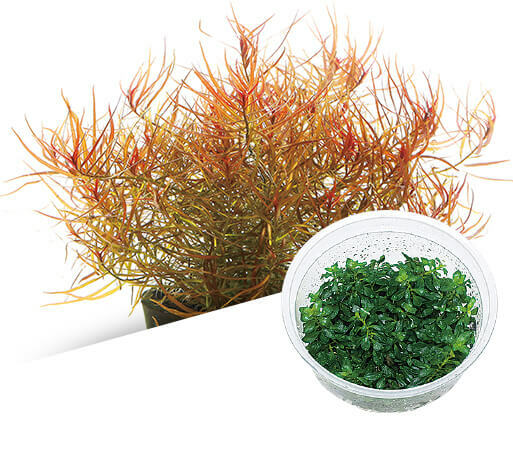 Rotala with slender leaves that have a stiff impression. 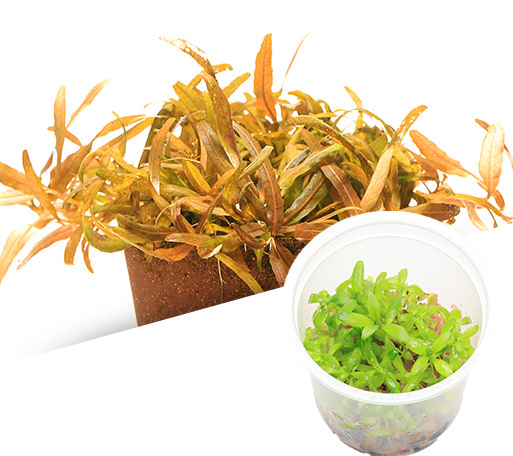 The leaves change from green to yellow according to the growing environment. The leaves are much broader than normal Echinodorus tenellus. 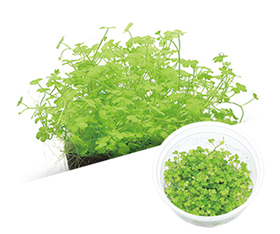 It develops bright green leaves. Aponogeton madagascariensis Other name; Lace plant Having a beautiful Skeletonized leaves. Having an undulating, green narrow leaves. The leaves grows out upward. 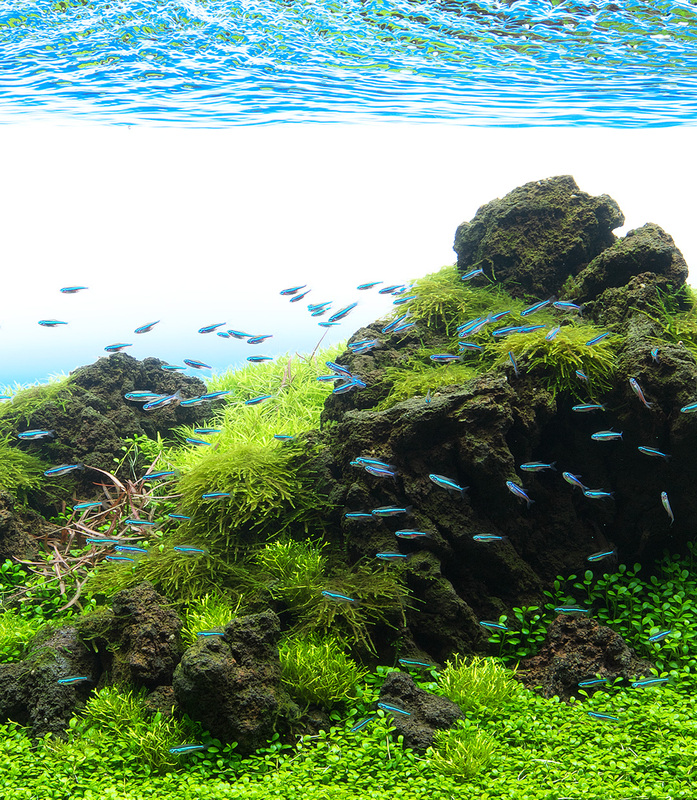 Please use reliable and safe aquatic plants. 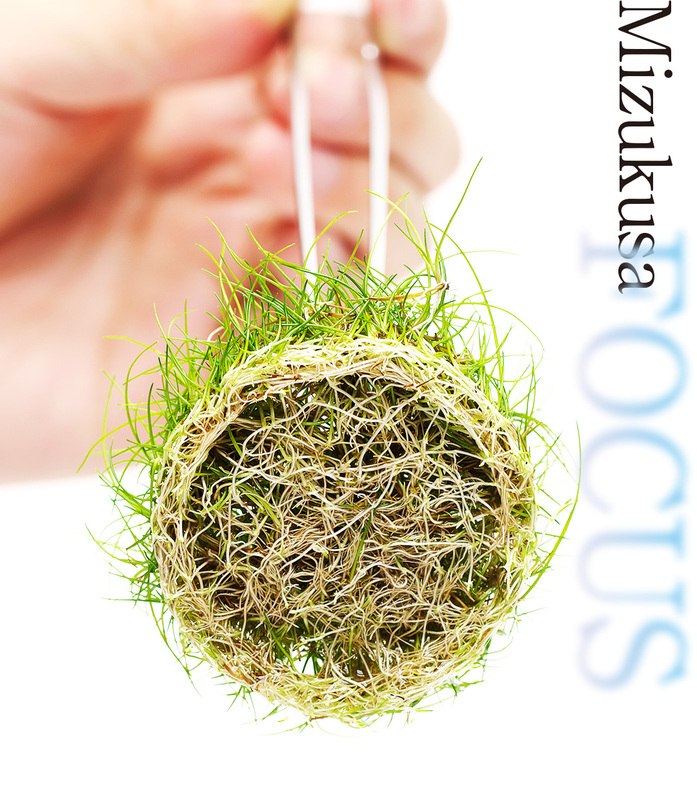 BIO Mizukusa no Mori is cultivated in a clean private facility. 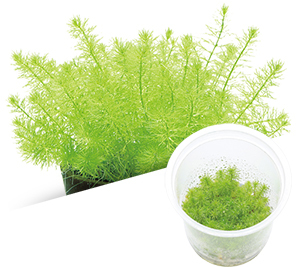 These ADA aquatic plants certainly can be used not only aquascaping, but also aquarium tanks that breeds delicate fish and shrimps.